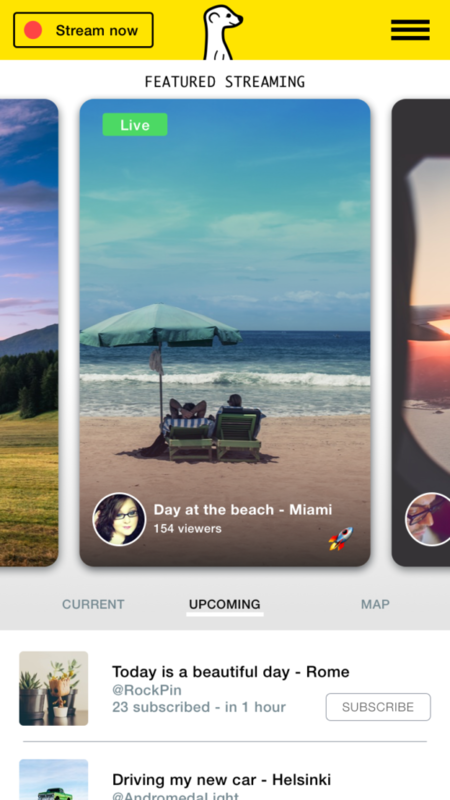 Meerkat was a mobile app that enabled users to broadcast live video streaming through their mobile device. Once signed up, Meerkat users had the option of connecting their Facebook and Twitter accounts, to stream directly to their followers as soon as they went live. The app was formerly available for both iOS and Android. I was in charge of community engagement, content moderation, selection of featured streams, storm-braining, competitor analysis. 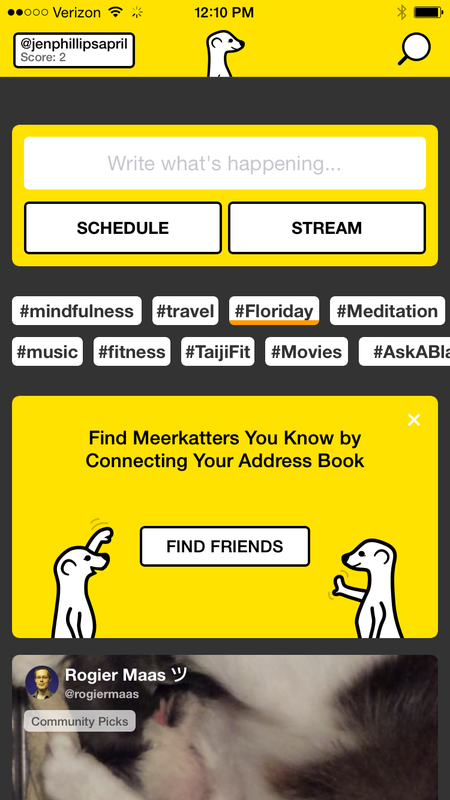 Meerkat was based in San Francisco with more than 2 million users. When it was three-weeks old, it was selected as the best new app at South by Southwest (SXSW 2015).